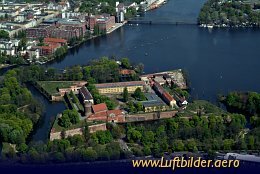 The Spandau Citadel is one of the oldest buildings in Berlin. It was built between 1559 and 1594 replacing a medieval castle. The symmetric fortress has 4 bastions. The main tower dates back to the 12th century. 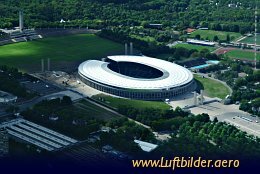 Todays Olympiastadion surrounded by the massive Olympischer Platz was originally built for the 1936 Summer Olympics. During World War II these buildings suffered little damage. 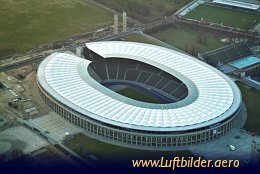 The Olympic Stadium of Berlin was build 1924-1936 after plans of the architect Werner March. It has 76,000 seats. The Stadium was modernized 2000-2004.